Church of the Big Sky: Thank you! To everyone who sent me birthday wishes and greetings. I appreciate every one of your lovely messages. There are some truly cool people out here, and I'm grateful to have met you all, if even only in the ether. Here's to meeting in the flesh someday! 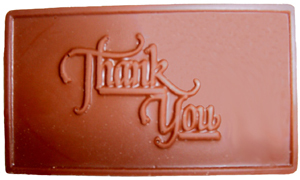 And if I could, I'd give you all a nice chocolate thank you. Same goes for me! Thank you, Merujofriends! I've never been included in someone's blog post before, so it was quite a treat for me. My brush with fame. i know i am late , but accept my birthday wishes , " happy birthday to you "
Ahh Effers! I'm sorry I missed your bday - hope it was awesome.